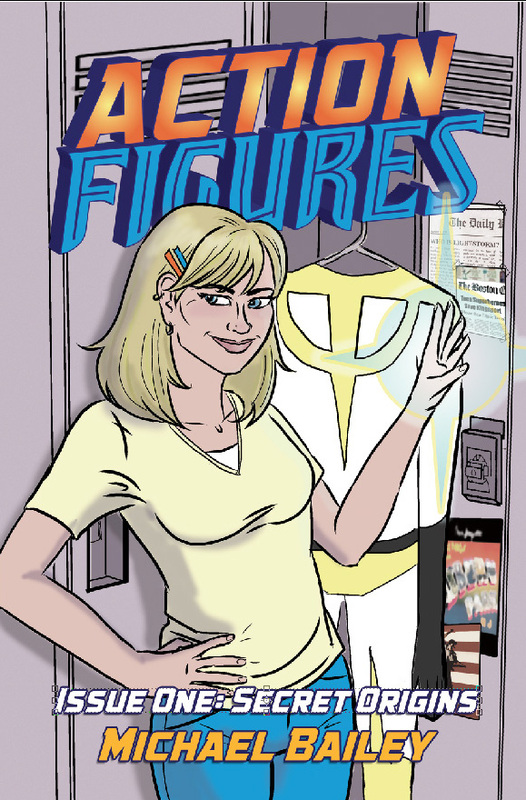 First, your brief reminder that the Kindle edition of Action Figures – Issue One: Secret Origins is available for free this week. If you haven’t given it a try yet, now’s the time to check it out. The Adventures of Strongarm & Lightfoot – Blades of Glory: I passed the 34,000 word mark over the weekend and I’m now into the second act. Saturday, April 22 and Sunday, April 23, 11 AM to 4 PM: New Bedford Book Festival. I got a little spotlight time over on the event’s blog, so thank you to the organizers for that! 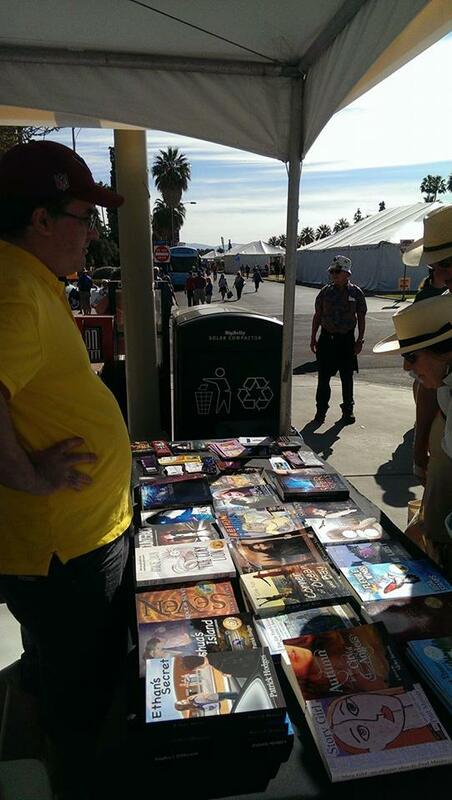 I want to send out a thank-you to Patrick Hodges of Young Adult Authors Rendezvous for including me via remote in the Tucson Festival of Books in Arizona over the weekend. Patrick asked if I’d send a couple copies of Secret Origins out to sell at the YAAR booth, so I did, and if you look closely at the photo on the right, you can see it sitting amidst the many other excellent titles that were available on that nice, bright, warm, sunny, snow-free weekend (he said without any bitterness as he watches the blizzard happening outside). I end this week with a quick word of advice to indie writers as they set out to promote their work: be honest with yourself and, by extension, your readers. I’ve seen a recent rash in indie authors presenting their achievements rather disingenuously lately, claiming “number one best-seller” status for topping an Amazon chart during a free giveaway campaign, employing such vague accolades as “acclaimed author,” or overstating their bibliography, as if their sheer quantity of their writing is somehow testament to the quality of their writing. Granted, a lot of readers aren’t going to look too deeply into self-aggrandizing claims and take them at face value, but if you can’t back up the hype with a quality product, it’s going to backfire on you, so don’t spend so much energy on Barnum-esque self-promotion. Put that effort into writing the best story you can and let your work speak for itself.